to practise being part of a business management team. Teams take over the management of a robotics company. There are potential, new markets in Europe, USA, Gulf States and Asia Pacific. At each quarter of the simulation teams have the option to enter new regions, so what will they do? It’s important to establish a sound business model at home but timing is critical in this highly competitive industry sector. How much risk are teams prepared to take in order to gain an early foothold in vital new markets? Margins are tight so staffing and stock levels are key issues. The company needs to meet customer demand - but not at any cost! Success is about good forecasting, choosing the right suppliers and having the right sized production workforce. 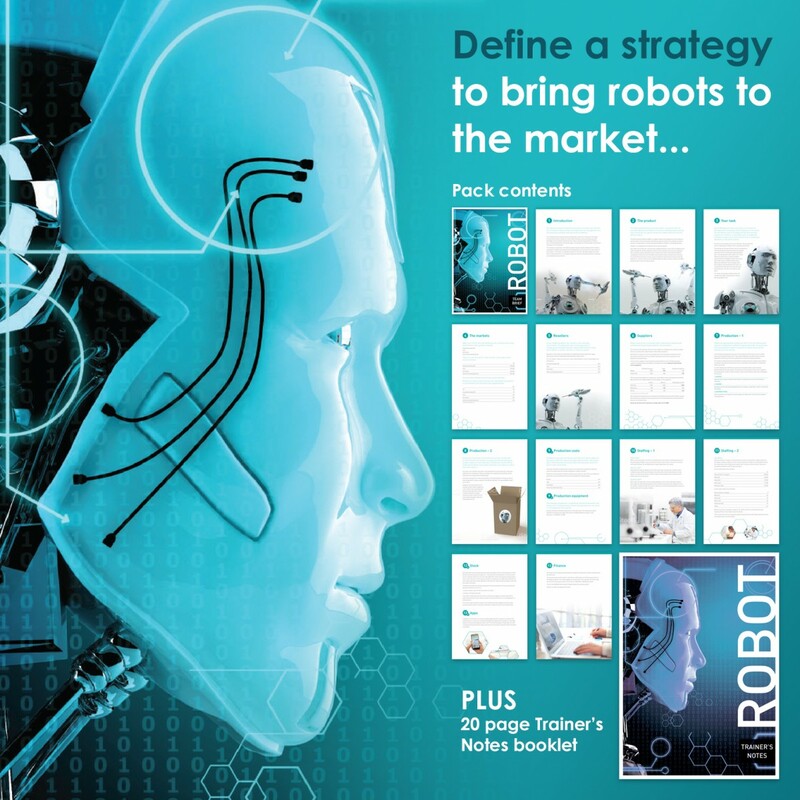 If there are insufficient finished robots the company will be unable to meet demand - how badly will that reflect on their market share? At the start teams need to analyse business data and make informed decisions. Sometimes they need to make educated guesses - just like real business - but it’s important not to make assumptions when there is data and history available to make informed choices. There are also optional business situations to discuss (they are thought provoking and good for discussion at the end but don’t actually influence the results). Other issues do have an effect. For example, cultural differences mean that the raw materials vary according to the region for which robots are being built. So robots are ‘region specific’. 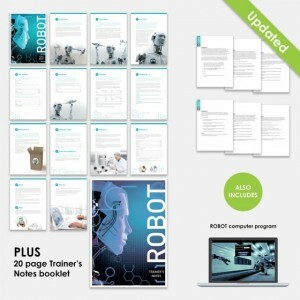 Teams also have the opportunity to extend the business by supplying apps for customers to enhance their existing robots. The winning team is the one with the most profit at the end - or you can use other criteria. Give a brief introduction, in terms of how the simulation works: a number of rounds in which teams make business decisions that are analysed by computer. Explain what determines the winning team. Issue each team with a Team Folder and allow 60-90 minutes for teams to analyse the contents. Issue each team with a Decision Form on which teams record their decisions for the first quarter: prices, staff numbers, markets, salaries, advertising spend etc. Collect the Forms and enter the details into the laptop. When all teams data is entered print P&Ls, Balance Sheets and Operational Statements for each team. Teams analyse their results. In the next decision period they can amend any of their first decisions as they strive to get control of the business and maximise profit. There is the option each round to issue a ‘Situation’ to teams. These are business issues to consider. They do not influence the result but are useful for discussion at the debrief. This process repeats for a number of rounds - six usually but you can go up to 12. At the end, ask each team to review their performance and to give a presentation in terms of their teamwork, decision making and business management. 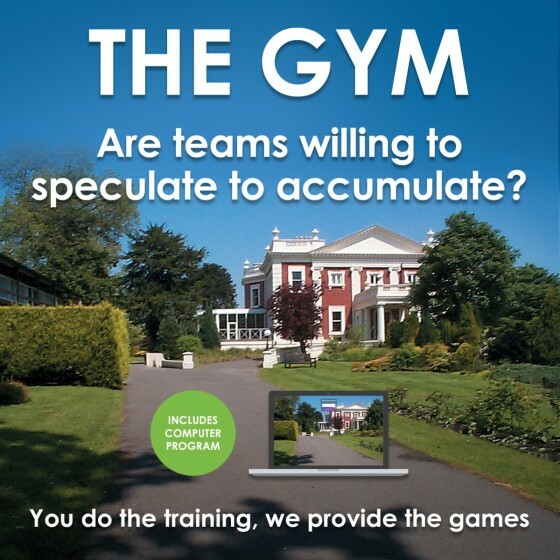 Lead a debrief on the financial aspects of the activity and compare the final profits of all teams. Announce the winning team. Summarise the key points and lesson learned and relate to the workplace. Full guidance for running and debriefing sessions is supplied in the Trainer’s Notes. 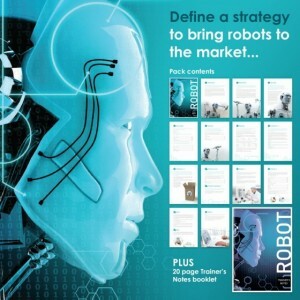 We used 'Robot' on a strategic management, and leadership course with 24 participants. The exercise brought out very clearly the need for board in setting objectives and controlling the work of organization. The greatest learning points were that any team needs to spend time planning, selecting which strategy to apply and build a structured approach to a task and ensuring that everyone is totally clear on what has to be achieved.